Bisigi themes had always been my favorite. 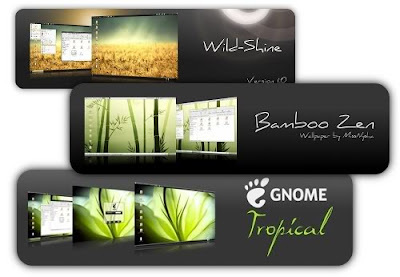 Initially they started of with 9 themes and now the full set includes 12 mind blowing themes for Ubuntu gnome. And the most interesting part is that, you can download these themes directly from Synaptic. Sounds cool eh? Check this out. Update: How To Install 13 Stunning Themes From Bisigi in Ubuntu Lucid - Modified Post. Now, depending on the version of Ubuntu you use, copy-paste the following repo to the sources.list file, preferably to the last line. To install all the 12 Bisigi themes for Ubuntu Gnome in one go, just open Terminal and copy-paste the command. Now in order to download themes of your choice, here are the name of the themes with corresponding commands on the right side.